When designing for an elderly loved one’s new assisted living apartment, keep in mind that the space needs to be practical. But practical doesn’t mean that it can’t be stylish and beautiful. The space needs to be easy to maneuver, safe and items should be purposeful. Here are some tips for assisted living room decorating. Consider any mobility issues that your parent might have or physical limitations, when you make a floor plan. Don’t overcrowd the room. You want to be careful of items low or on the ground that could be a tripping hazard. Also, make sure they can able to reach everything that they will need. Hooks on the back of door might keep things neat, but it is not practical if your family member cannot reach their robe and jacket. And no matter what age you are, everyone wants to live in a beautiful space that represents their taste and reflects their style. Painting a room in a soft neutral color can be very relaxing and perfect for some tastes. But if you mother has always loved and embraced color, why change now? Paint colors, linens, and art can all reflect your loved one’s style and create a space that is inviting. Character in the space. Most of us search for vintage finds to add depth and character to our homes. But most seniors have a treasure trove of decor accessories with a sentimental attachment. Use these items throughout their apartment to surround them with fond memories. When decorating a small space, these items give the room a sense of history and personality. And think of using these items in a unique way, a wooden box could hold linens or a teapot can be used as a planter. Accessibly. Keep in mind that either your loved one or their new friends may have walkers and wheelchairs. You want to make sure the room is accessible with enough floor space to easily move. Avoid area rugs that can be a trip hazard or difficult to maneuver over. Lighting. Install bright lighting next to the bed or corner chair for reading. Task lighting at a desk for writing letters or craft projects can be helpful to older eyes. Lighting in a wardrobe or closet will help them see stored items more easily. Keep all cords tucked away. Chairs. When looking at seating, consider a chair that is higher and with sturdy armrests, so it is easier to get in and out. Soft upholstery can be luxurious, and leather can be durable, try to match their tastes and needs. Memo board. As we age, our memory can fade. 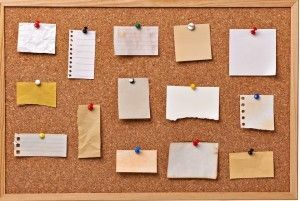 Install a memo board to keep important notes, reminders, and photos posted and easily accessible. The cards and items on the board can be rotated out to keep it fresh and organized. Bedding. Bedding is an easy way to give a room big impact. Find bedding that is inviting with colorful linens, interesting patterns, assorted textures, soft upholstered headboard, and a throw blanket. Tables. Oval or circular tables with non-glass tops keep the room light and airy but safe for seniors as they move around. You may want to use side tables next to furniture pieces to rest a cup of coffee or book versus using a coffee table in the middle of the room that can be a trip hazard. Moving into an assisted living community can be exciting and sometimes stressful for some seniors. Having fun with your parent and their assisted living room decorating can make the transition easier.